Christmas island is a small, mountainous island that’s located in the Indian Ocean, midway between Australia and Sri Lanka. The residents of this beautiful paradise, covered with dense forests and beautiful coastlines, have to contend with a totally unexpected type of road hazard. The red crabs migration can can sometimes make getting around a little difficult. Every year, during the breeding season, as many as 43.7 million adult red crabs migrate in great numbers, from the forest where they usually live, to the coast to breed. Usually the migration is synchronized across the entire island which results in road detours and the building of special underpasses, which will help for the crabs’ safe passage to the ocean. 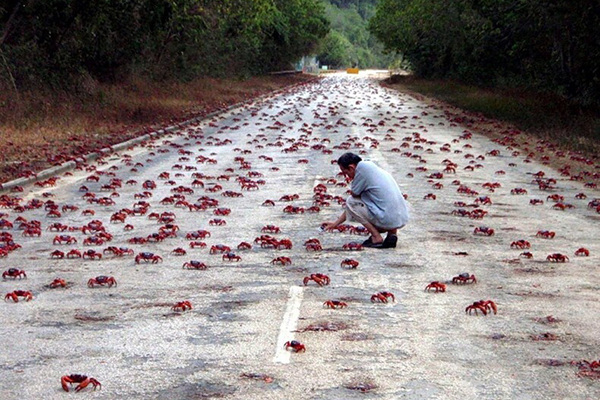 The crabs travel from the forest to the coast, and usually the migration is synchronized across the entire island. 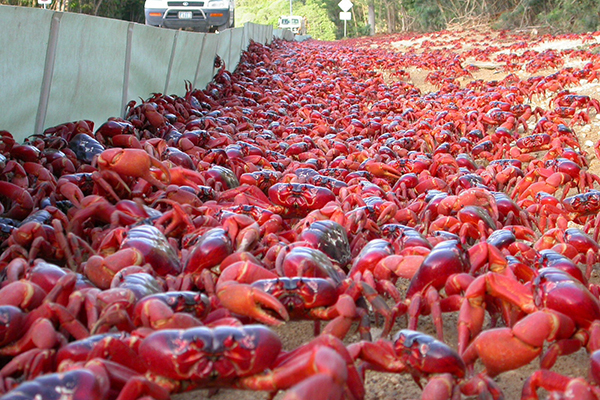 Compared to the staggering amount of crabs, there are only 1,600 humans who call Christmas Island home. Even though there are precautions taken to protect the crabs, thousands of them are crushed by passing cars. Even with the erection of detours and signs. The islands is also home to the largest land-living arthropod in the world. 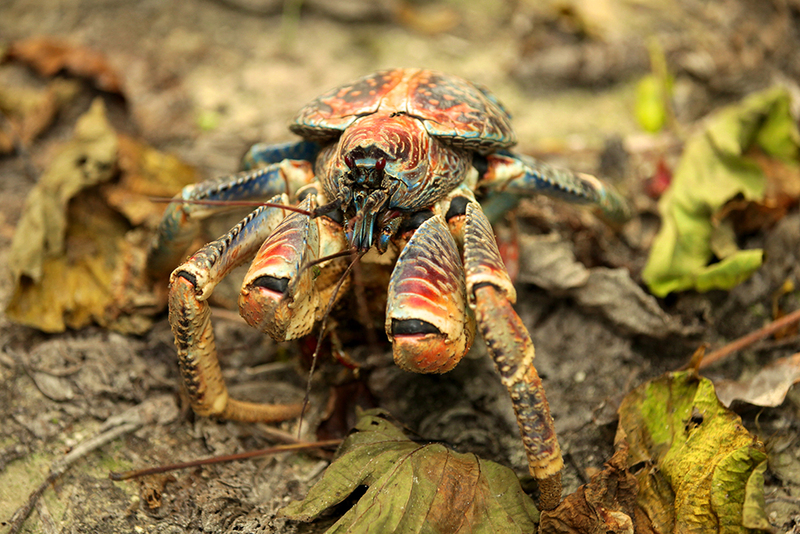 The robber crab, also known as coconut crab, grows larger than a football and come in colours ranging from blue to red. The magnificent creatures got their name due to the fact that they can climb trees and open coconuts, which are part of their diet. The coconut crab come in colors ranging from blue to red. You can fly to the island directly from Perth, Australia with Virgin Australia. You can also reach the paradise coastlines and rich wildlife, if you fly with Christmas Island Air from Kuala Lumpur. If you want to experience the thrill of walking among millions of crabs, plan your visit to the island during the wet season in Australia. любопитно. Не бях чувала досега за такива рачешки миграции. Много хубави снимки. Благодаря ти Ели. Радвам се, че поста ти е харесал.